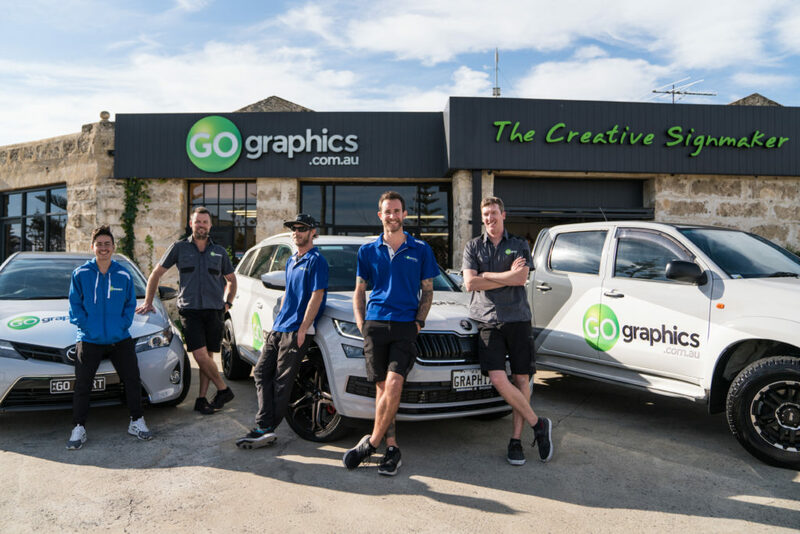 Meet the Go Graphics Sales dream team. Guided by our founder and fearless leader – Darren, the team work together in the vital first steps of your journey with us. These experienced consultants will help you decide on the best possible solution for your unique signage and graphics needs. Darren has a vast experience in the signage industry and has a real passion for what we do, along with a drive to exceed expectations in customer service. As a qualified Signwriter, Vehicle Wrapper & Designer, Sam is an expert when it comes to our products and will be your first liaison when we begin our work with you, opening up the conversation on how to turn your creative vision to reality. Karla and Natalie are the lovely ladies who keep our team in line. Karla will be the friendly face to greet you upon arrival to our office, while Natalie helps to crunch the numbers to keep our accounts in order. She’ll be happy to help with any of your accounting or invoicing enquiries. 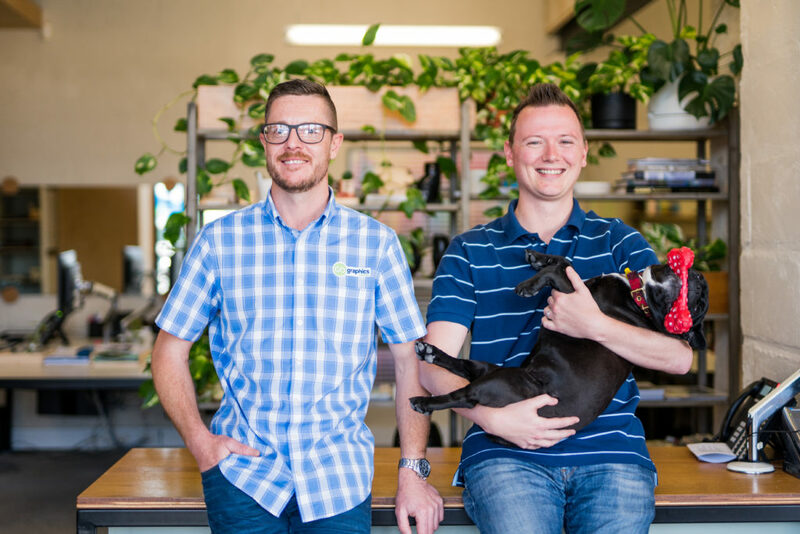 This dynamic design duo is also known as Clint and Ben, our Graphic Design Specialists. Chances are, anytime you’ve admired a cool and colourful, sleek and sophisticated, or just all-round awesome design, it has come from these masterminds. You’ve almost definitely seen their work around our beautiful city. As our Senior Graphic Designer, Ben is a talented creative genius, bringing to life the ideas and vision for our clients. His ability to think outside of the box, as well as his dedication to continuously learning and improving on his skills, ensures our clients expectations are always exceeded with the designs presented to them. With over 15 years of industry experience and a keen eye for design, Clint is has a vast knowledge of digital printing, vinyl graphics, technology and signage manufacturing to design graphics and custom products that really work for our clients. Let’s not forget about Gigi our French Bulldog mascot! This little lady provides constant entertainment to the team, and fancies herself the queen of the castle. She’ll be happy to make your acquaintance and accept pats on your next visit to the office. Meet our Production Team, run under the guidance of our Production Manager, Nathan. Nathan and his team of in-house sign makers and installers work hard on the daily to ensure that our production quality remains consistently high, and that projects are delivered on time and to the client’s total satisfaction every time. These guys are highly energetic, passionate and meticulous. You can find our team in the workshop dedicating their time to ensuring your projects are finished perfectly and ready for installation. 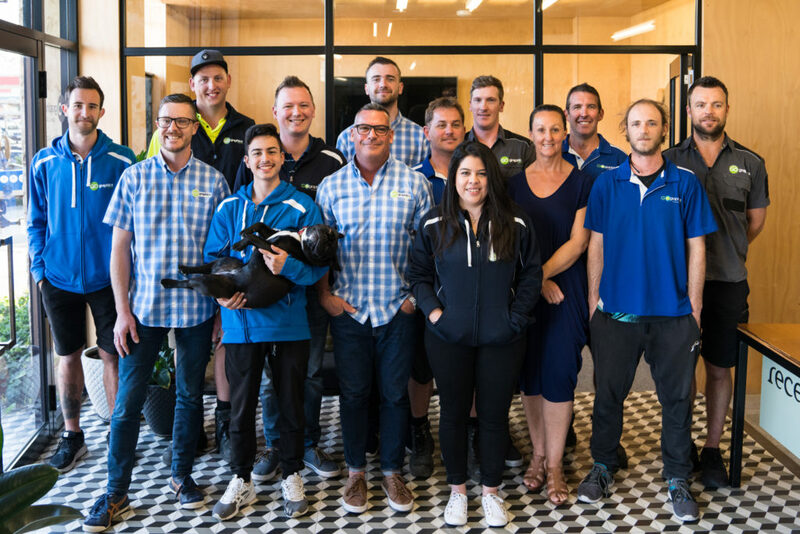 Our team of installers bring almost 60 years of combined industry experience. Our Senior Fabricator and Installers, Jason and Wayne, both have a thorough understanding of fabrication, sign assembly, repairs and servicing, application and installation, and are great examples for our younger team to gain immeasurable knowledge and guidance. 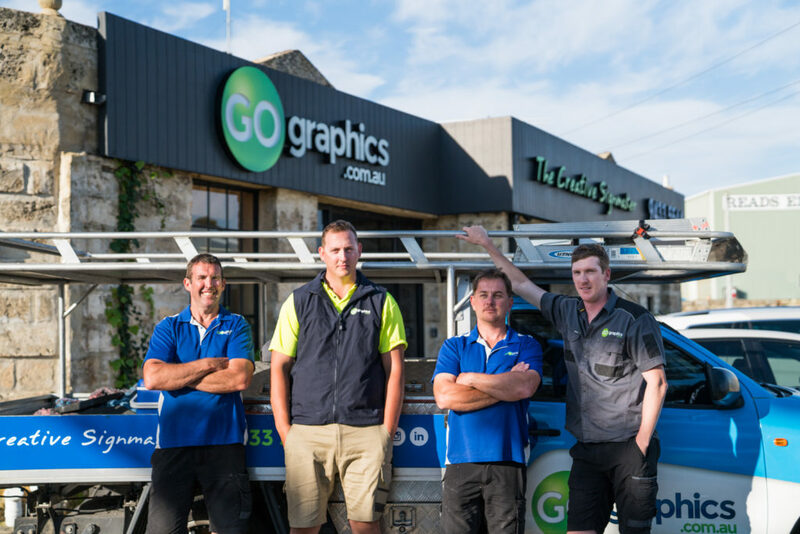 You may have noticed these dedicated professionals out and about in their Go Graphics vehicles on various installation projects. Andrew is our marine graphics guru, starting with us during high school then completing his trade certificate here. These days Andrew works full time and meticulously (sometimes in unfavourable weather conditions) installing all of the beautiful boat graphics, striping and signage you’ve seen. 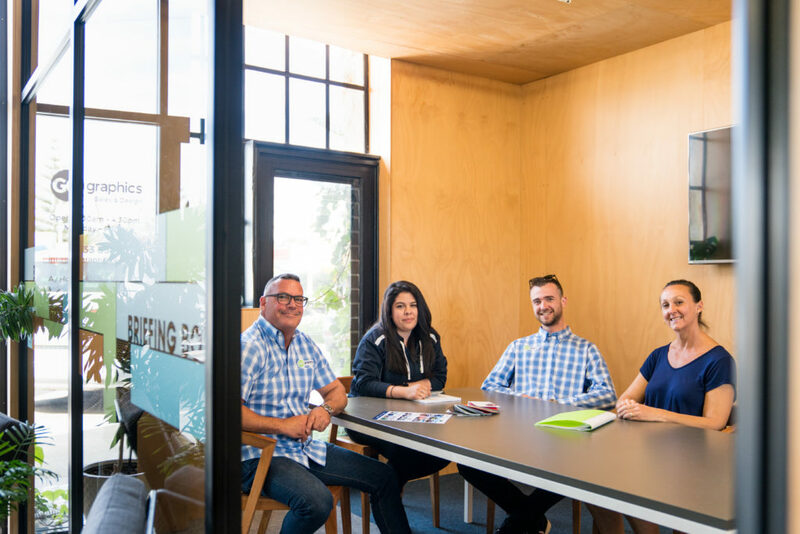 Together, these four never fail to ensure your vision really comes to life in the final part of the process. The Go Team is like a family. Now that you know us a little better, why not stop by and introduce yourself? It could be the beginning of something great!